Esklusiv GmbH is a management consulting company for IT services. We specialize at the placement of IT professionals for both permanent positions and temporary projects. To succeed, there needs to be clear processes, maybe a few fortunate additions; but our Senior HR consultants are by far the most important factor in our success. Our employees bring a specialized know-how, have great dedication, a lot of passion and just as much joy at work. This promises our clients an esklusive search with esklusive results. We are glad to announce that we are now members of the Cloud Ecosystem group! Our place for meetings, events and trainings. 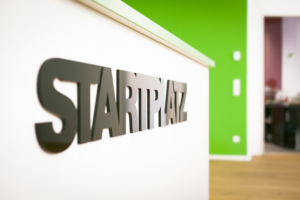 STARTPLATZ is not only an incubator, but also a very attractive meeting point for the startup community. It offers modern coworking spaces and team offices. Furthermore, it serves as an event location. Either for external booked events or great conferences and workshops: STARTPLATZ provides a great variety of conference- and meeting rooms. Our fulfillment partner for our shop. easyfulfillment supports online shops and companies without outsourced logistics, and takes over the dispatch as well as the goods receipt and storage. Upon request, it will also handle returns.